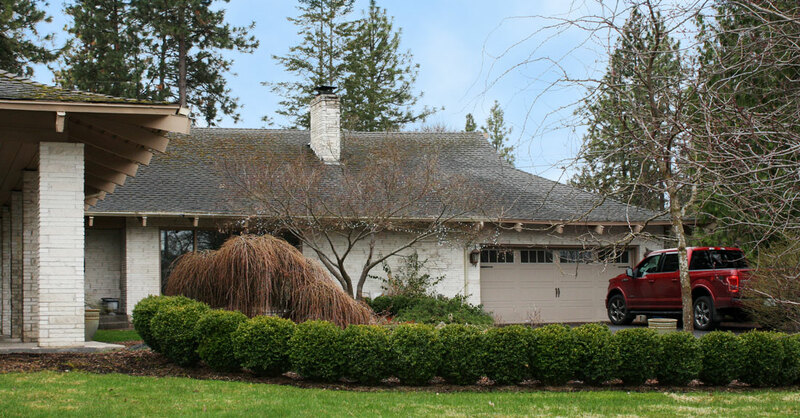 The Donald K. and Suzanne T. MacGillivray house was designed and built by Donald MacGillivray, a popular builder in Spokane who won several national awards for his houses. After World War II MacGillivray, who returned to Spokane in 1946, was a salesman for AB&B. 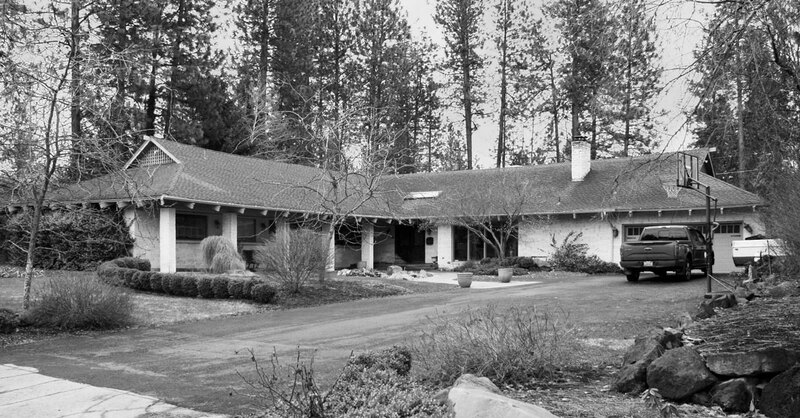 In 1950, his business was referred to as “Solar Homes Builders”; five years later he renamed it “Period Homes.” By 1960 he was again working as a salesman, this time for Sherwood Roberts. 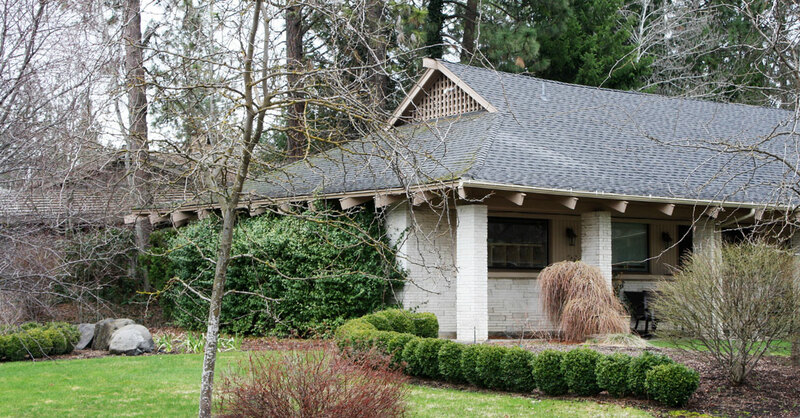 The MacGillivray house is a Ranch-style house with Asian details. The Ranch house was popular throughout the United States in the post-World War II era and assumed many forms and styles. Form types include “L”-shaped, such as this house; “U”-shaped, which are arranged around a courtyard; split-level, which are two stories; and ramblers. All are characterized by low-pitched hip and gable roofs; deeper eaves than on the earlier, World War II-era styles; and open floor plans in the public areas of the house. They typically have horizontally oriented windows, of which a combination of fixed and casement sash was the most popular in the 1950s. Expanses of glazing with sliding glass doors may be seen on the rear façade, facing onto the back yard. Chimneys are broad and are usually a prominent feature of the house. 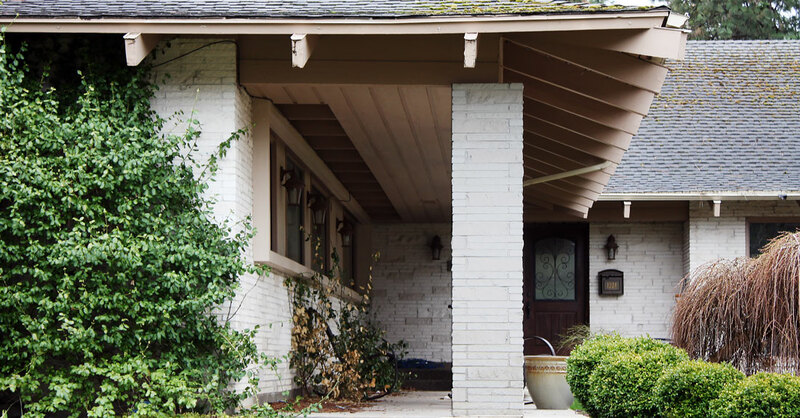 Ranch-style houses may also be further characterized by their design features. These houses are sometimes called Character Ranches. A traditional Ranch house form reflects its antecedents from California and the Southwest and even Spanish Colonial Revival features. Stylistic features may also recall western motifs, sometimes called a Cowboy or Western Ranch house. These often feature angled brackets at the porch and rustic materials such as board-and-batten siding. Ranch houses may also incorporate Colonial features, with an entry portico and multi-light windows with shutters. What is sometimes referred to as a Contemporary Ranch house is characterized by a lack of decorative detail and an emphasis on building form. 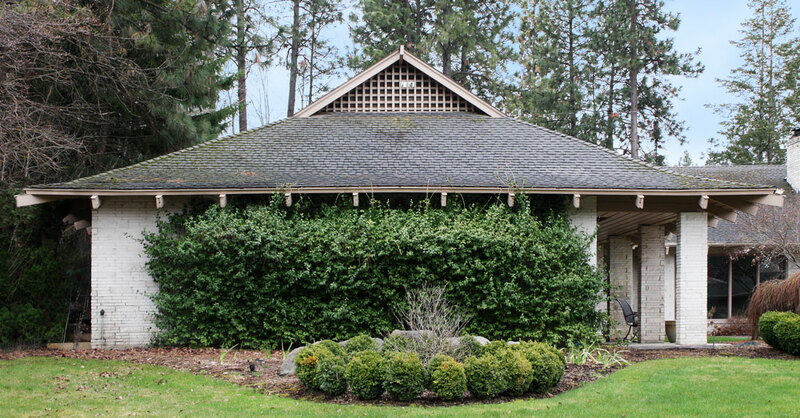 The MacGillivray house is of interest because of its Asian-inspired roofline, a popular motif at mid-century.